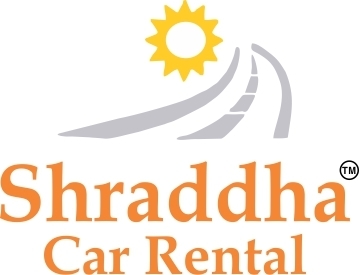 Shraddha Car Rental is an Indore based company into the business of cabs & coaches rental services to various locations in Indore since 2000. We provide services to the Corporate Companies, Govt. Sectors and to the Semi Govt. bodies by catering personalized services. We have the trained staff, transport vehicles and most importantly, an intimate knowledge of the area and personal relationships with the principles. We work together as a team to make your journey to India an unforgettable experience. For a comfortable ride & to enjoy the best of travel & leisure services, ride with Shraddha Car Rental. Car rent in indore|car hiring in indore|best car rent indore|innova hiring indore|tempo traveler hiring in indore |Car rent in Bhopa|Car rent in Jabalpur|Car rent in Gwalior|Car rent in Ujjain|Car rent in Sagar|Car rent for Dewas|Car rent for Pithampur|Car rent in Ratlam|Car rent for Maheshwar|Car rent omkareshwar|Car rent for Khandwa|Car rent for mandu|Car rent for Guna|Car rent for Shivpuri|Car rent for Vidisha|Car rent for Chhatarpur|Car rent for Damoh|Car rent for Mandsaur|Car rent for Khargone|Car rent for Neemuch|Car rent in Pithampur|Car rent for Hoshangabad|Car rent for Itarsi|Car rent at Sehore|Car rent for pachmari|Car rent Nagda|Car rent for mandideep. car attachment for corporate in indore | car attachment for companies in pithampur|car attachment for companies in dewas|Dezire car attachment for companies in indore| Dezire car attachment for companies in pithampur| Dezire car attachment for companies for dewas | Innova car attachment for companies in indore| Innova car attachment for companies in pithampur| Innova car attachment for companies for dewas |Tempo traveller attachment for companies in indore| Tempo traveller attachment for companies in pithampur| Tempo traveller attachment for companies for dewas |car hire on monthly basis in indore | car hire on monthly basis in pithampur | car hire on monthly basis in dewas | Car rental services for monthly basis| Car rental services for monthly basis in indore | Car rental services for monthly basis in pithampur | Car rental services for monthly basis in dewas. Car Rental Services in Indore | Luxury Cars for Rent in Indore | Car Rental for out station | Indore to Ujjain Cab services | Car Hire in indore | Travel Agents in indore|Tempo Travellers On Hire in indore |Innova hiring in indore |Tempo Travellers On Hire For Outstation |Car On Hire For Outstation |Tavera hiring in indore|Car Hire-Swift dezire |Car Hire-Crysta|Car Hire For Outstation-Toyota Innova Crysta| Car Hire For Indore |AC Car On Hire in indore| Innova Car Hire near me | Audi Car Hire near me |Force Cruiser Car Hire near me |BMW Car Hire near me | Mercedes Benz Car Hire near me | Car Hire near me |Etios car hire in indore | Honda City Car Hire near me |Jaguar Car Hire near me |Fortuner Car Hire near me. Car hiring services|Car hire services| Car rental services|Car rent services| Monthly car hiring services | monthly car rental services |car hire services for conference | Car rental services for conference| Car booking services for doctor conference | rent a car for doctor conference |Car hiring for conference | car hire for events| Car hiring services for events | Travel agent for events | Car hire for marriage | car hire for Wedding | Rent a car for wedding | Book a car for wedding |Car rental packages for pharmaceutical companies| Car hire packages for Medical industries.